I am sure if you’re a regular visitor to my beauty section, it won’t come as a surprise to you – what a fan of TBS products I am. I own atleast a product from all the ranges of The Body Shop- to affirm. 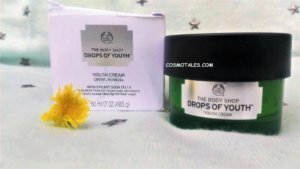 And today I am going to review my recent addition- The Body Shop Drops Of Youth Youth Cream. Couple of weeks back I was whisked off to Southern part of India and unfortunately missed my regular- The Body Shop Vit E Night Moisturizer. But luckily I found TBS store on Mumbai airport- came out to be a savior. 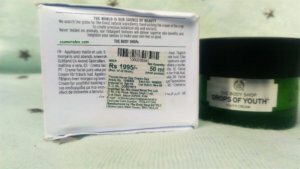 These are the Best Of The Body Shop, India products. 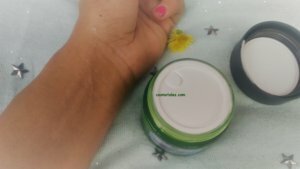 After using this moisturizer for good 3-4 weeks, I feel I am in a good position to review – The Body Shop Drops Of Youth Youth Cream, though these pics are of the just 2-3 days after my purchase. 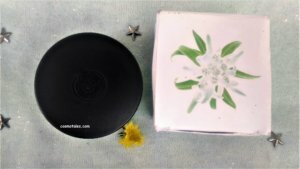 The Body Shop Youth Youth Cream is a lightly air-whipped face cream that leaves a flawless, velvety-soft finish to the skin. Taking its technology from plant stem cells from Edelweiss, Sea Holly, and Criste Marine, our Youth Cream smooths, tightens, and hydrates skin. Pores look tightened, lines appear smoothed, and skin feels bouncier after use. The alcohol,BHA and salisylic acid in the ingredients list is kind of turn off for me but then the over all list is pretty impressive. 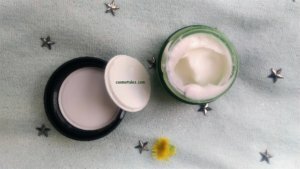 On rolling your eyeball over this Body Shop Moisturizer, you may think it to be kind of any regular moisturizer but to your surprise its so serum like light consistency. And sinks in instantly upon applying and gives a velvety smooth skin. 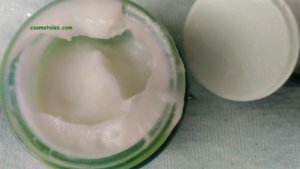 The Youth Cream isn’t heavy or thick or oily. The only thing which gives me blues is its organic scent, but then its okay if you don’t adorn a sensitive nose. I personally love slathering heavy duty creams around nights but mad for light, sink in moisturizers during day. 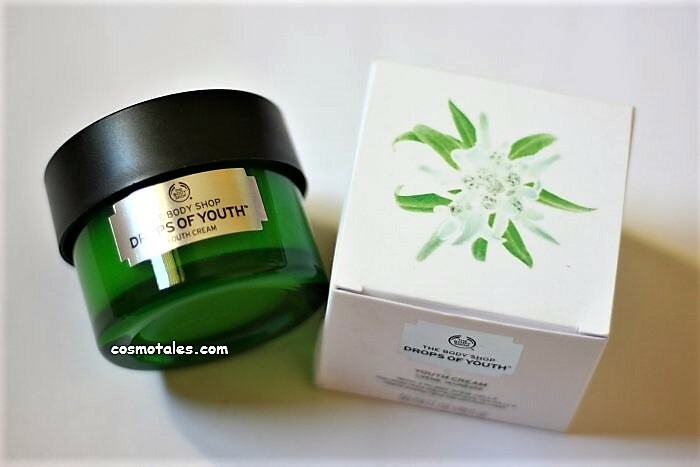 And believe me- this The Body Shop Drops Of Youth Youth Cream is an all rounder. I am impressed with its performance. It absorbs quickly and keeps my skin hydrated all day long and feels like my second skin. No greasiness even in Hot humid weather of Mumbai and works as good in restoring in nights too. Love the way it has transformed my skin to baby soft, supple and plump skin. To sum it up in one liner- it defiantly helps to restore youthful glow and feel over a period. 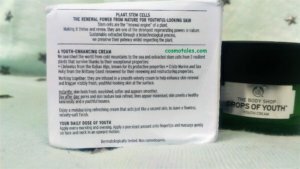 The Body Shop Drops Of Youth Youth Cream, is now my next favorite light moisturizer, after Forest Essential Rose Water Gel. 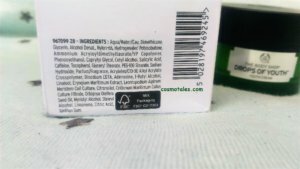 It never break me out, and would be great for Oily or Combination skin too. But if you have some major concerns like fading out dark spots or acne marks- it’s not recommended. * Sinks into skin in seconds. * So light yet hydrating all day round. 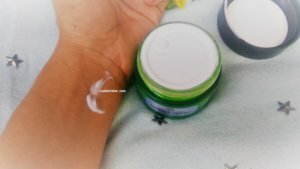 The Body Shop Drops Of Youth Youth Cream Deserves a high rating apart for its high cost. Yes! Definitely, I loved the effect.